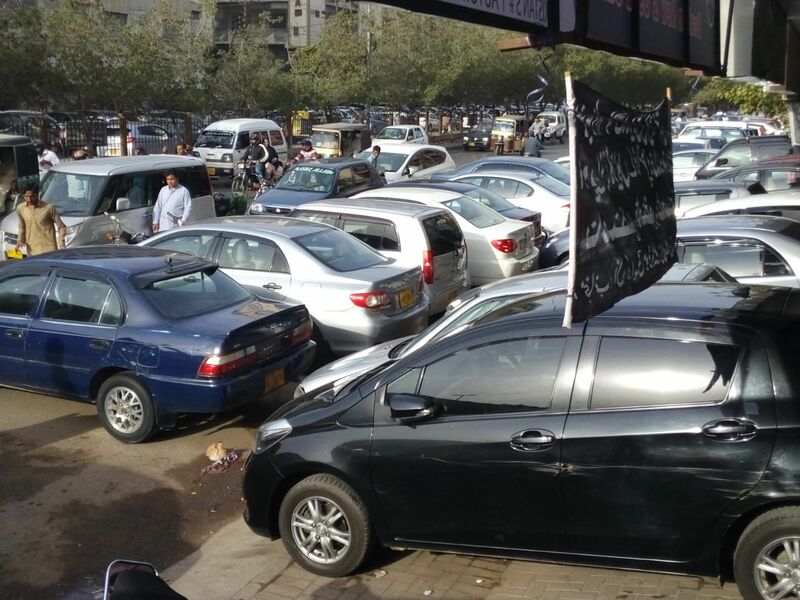 Pakistani automakers are not very popular when it comes to serving their customers, but it seems that one automaker is quite serious about changing that perception. 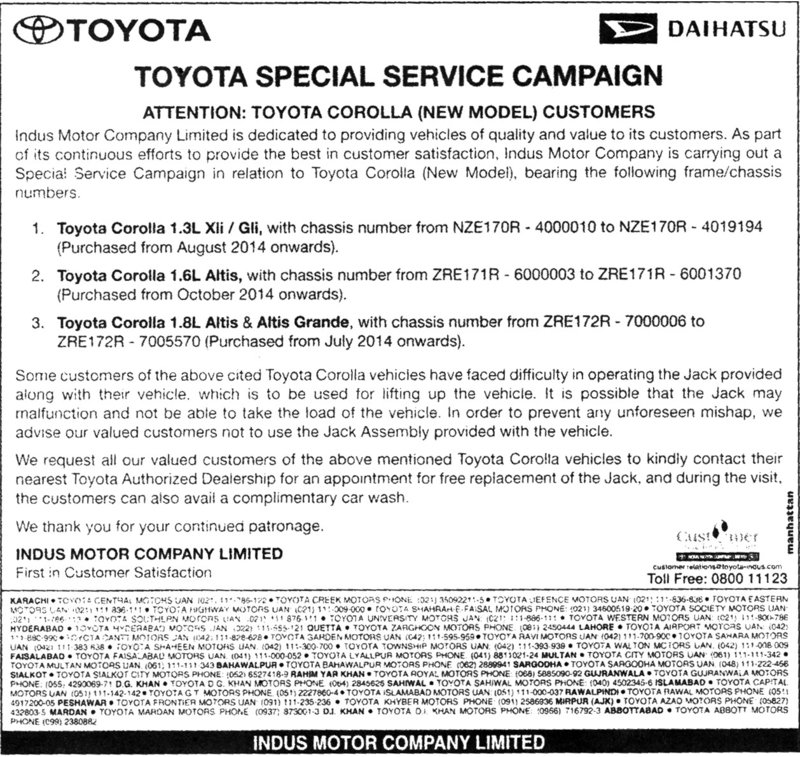 Toyota Indus recommends customers, with above mentioned vehicles, to contact their nearest authorized dealers and have their cars’ jacks replaced. All the affected customers are entitled for a free car wash from the authorized dealers during their visit to have the jack replaced. I think it is a good gesture from Toyota that they are finally looking out for their customers as according to NHTSA, a faulty jack is a serious safety hazard. 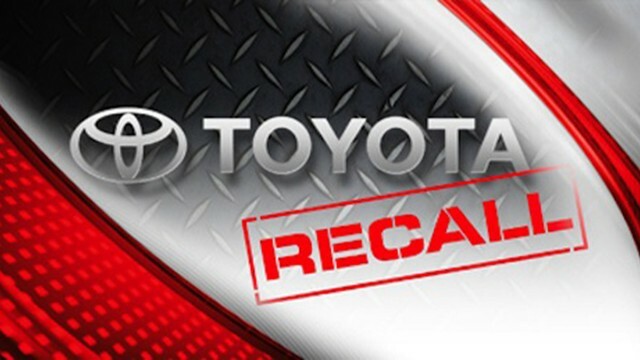 So if your vehicle is affected by this issue, you should immediately book an appointment with your nearest Toyota Dealership. V. Good initiative by Indus Motors. a good move but if it was happened in some developled countries, than the story would not end on just replacing the faulty jacks. The company would have to answer infront of the concerned board, that why this negligence was happened in the first place. anyway still a good news.